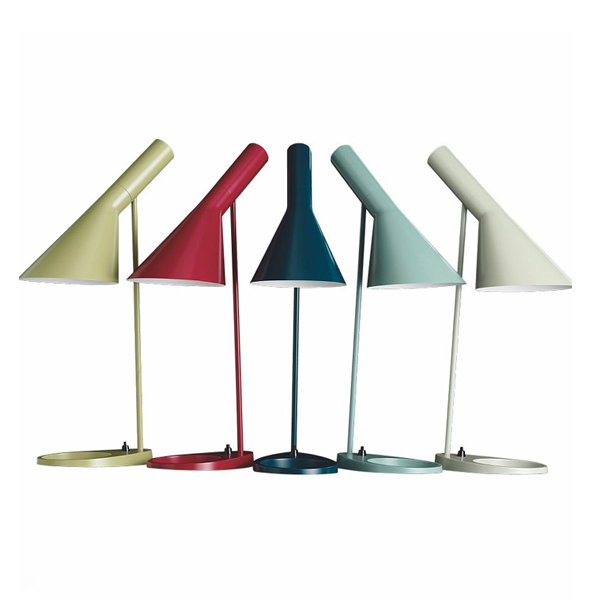 The AJ table lamp collection was designed by Arne Jacobsen in 1960 for the SAS Royal Hotel in Copenhagen (Radisson Blu). As a major contribution to the total design concept of the hotel, the AJ lamps have achieved iconic design status. The AJ table Table Lamp emits downward directed light. The angle of the shade and rotation can be adjusted to optimize light distribution. The shade is painted white on the inside to ensure a soft comfortable light.